Had enough of unauthorized vehicles blocking your access? This eye-catching warning sign should do the trick. 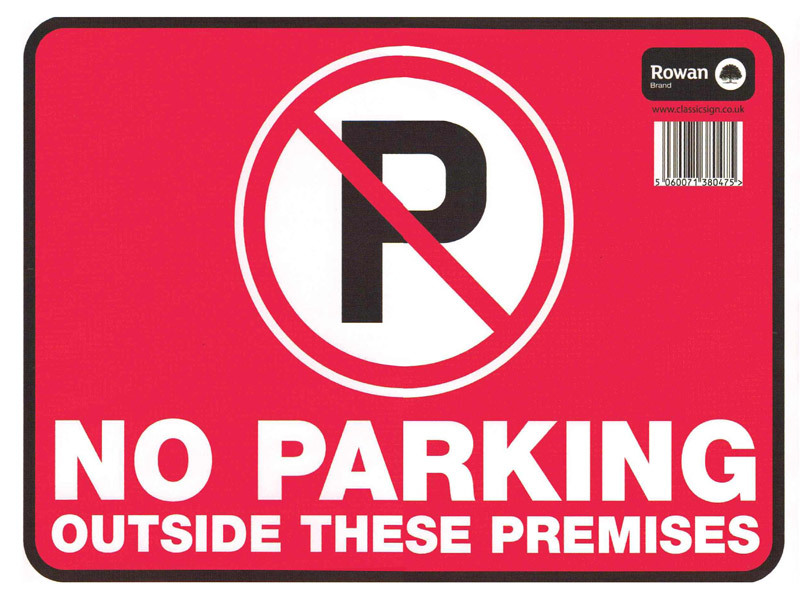 “No parking outside these premises” sticker is the message it contains and the vibrant red background printed with bold black and white text and graphics should leave no doubt as to its meaning.